A long-time devotee of doodling, the kiddo Gadora spent many an hour practicing cursive, trying to emulate my Dad’s near-perfect Architectural lettering and scribbling my name in notebooks. I hadn’t a clue one could actually make a living manipulating letters. As a professional, I eventually made a living with my own letters – not as a graphic artist, but as a writer. And in the magazine biz, I happily brushed shoulders with folks romantically fanatic about their favorite fonts. They did pretty things with letters I never could. 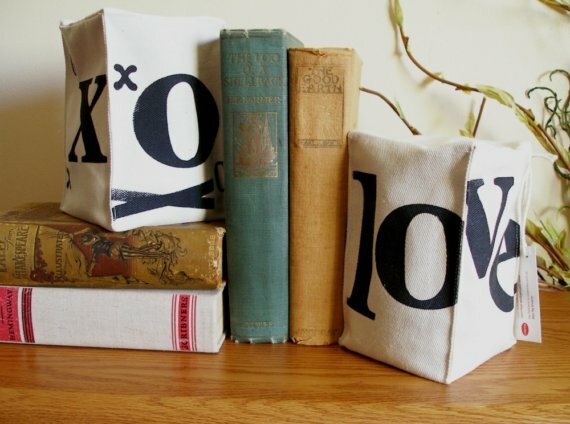 During one of our Skype dates, The Valentine forwarded this DIY project idea. Oooh, I like the way you’re thinking… It’s dreamy and touches on so much of what Gadora digs: reusing and repurposing stuff otherwise ready for a landfill. 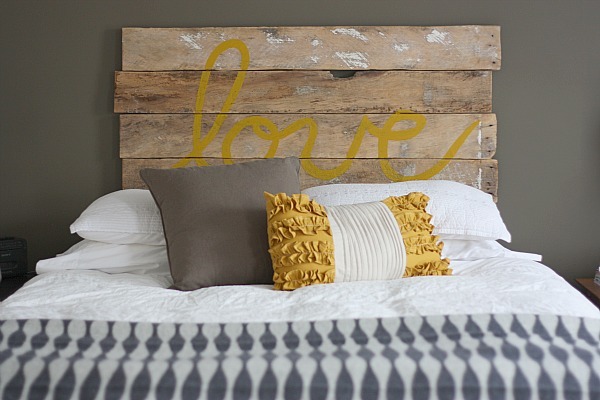 Dana of house*tweaking gives us a how-to turn an old fence into a fancy new headboard. And here, how it looks all dolled up. Gadora never embraced the latest letter decal craze. Sure, I loves me some stickers, but they’re reserved for my bumper or metal tool box, but definitely not my wall. That said, this font wall, from Italian company Wall & Deco, is actually a fancy wallpaper. Wallpaper is making a comeback. Thanks Tidystuff for posting. If a full wall is too big a task to tackle, Etsy seller JoshuabyOak offers a small pair of hand-stamped bookends that can fancy up any set of books. This next creation might be Gadora’s favorite. 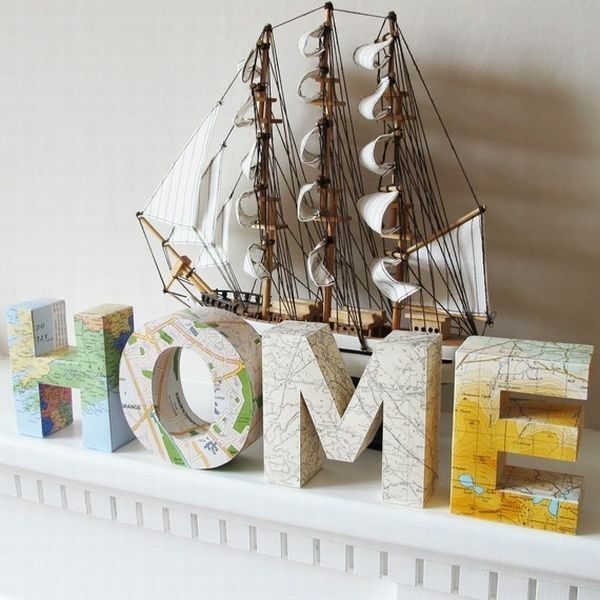 Combining my love of letters AND the use of maps (in this case, “rescued” Irish maps), Home Design Ideas touts Etsy store littlewhitedog’s handmade, card stock letters. Design*Sponge posted the letter G. Its parts – the sum of a trip to the hardware store. A DIY from Curbly Make It! Hardware Store Decor, it’s grand and rather great. 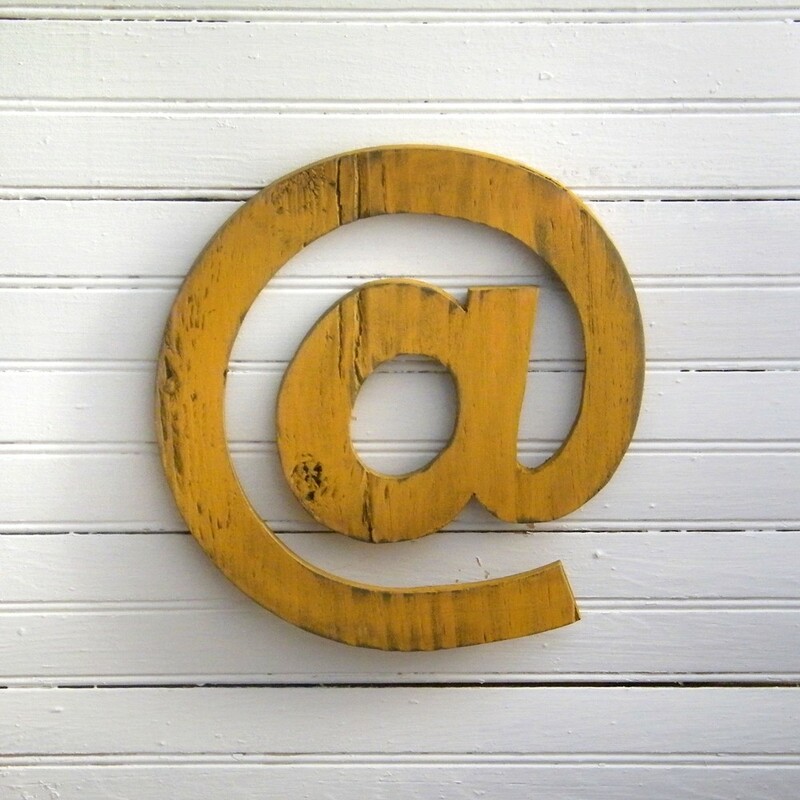 Curbly offers a “letter light” tutorial in pdf form, for easy following. Apartment Therapy deems decorating with letters and words “textorating.” Their readers quick to say texting is cliché, but they still tickle my fancy. These letters form a sort of random thought cloud above a lovely working station. 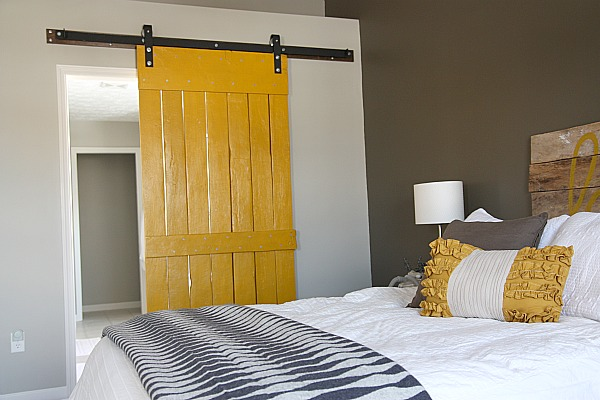 This letter perfect “headboard” was originally featured on Better Homes and Gardens – as a tangible DIY. 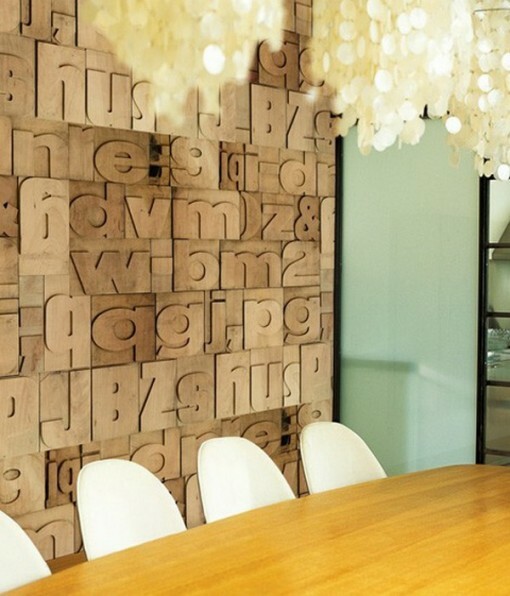 The 3-dimensional letters sit away from the wall and many a blogger picked it up. 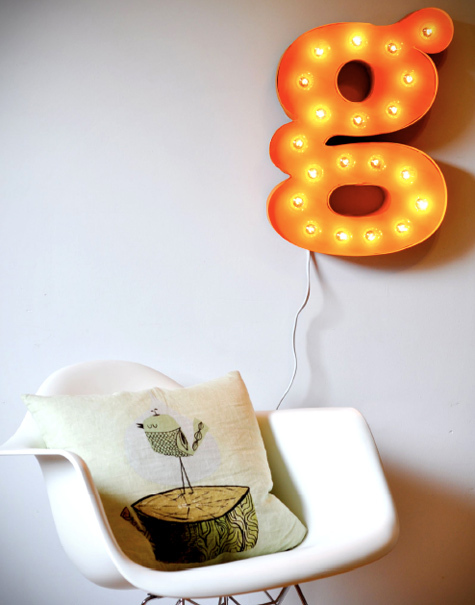 design*sponge ~ best of: fonts in homes. littlewhitedog ~ Suzie hand makes any number of letters from her Dublin studio. 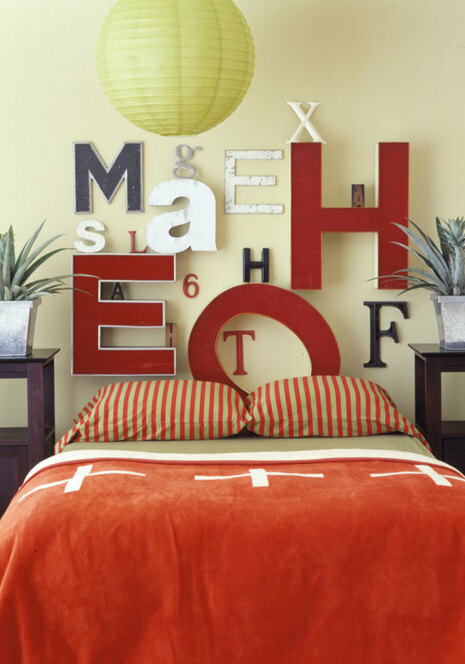 Tidy Stuff ~ entire walls designed with fonts. Posted on February 20, 2011 July 1, 2012 by gadorawilderPosted in InspirationTagged Do-it-Yourself, Etsy, Letter Writing, Shabby Chic, vintage. Previous Previous post: Bouldin Creek’s new home… A bittersweet gulp. Gives me some serious inspiration for my own headboard design!